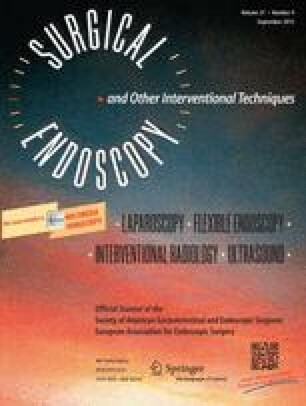 Various reports concerning port-site metastasis after laparoscopic surgery for colorectal cancer have created a new concern regarding the use of this technique for the treatment of this malignancy. The real incidence is not yet known; neither are its prognostic implications. Numerous experimental studies, both in vitro and in vivo, have been published since 1994. These studies have analyzed the possible role of pneumoperitoneum and carbon dioxide (CO2) and pathophysiology, as well as the influence of minimally invasive techniques on tumor response and immunity. There are no definitive results yet, but there is enough evidence to presume that the etiology of this new complication might derive from surgical technique. We present our 8-year experience with laparoscopic surgery for colorectal cancer. We also review our technique for preventing port-site implants. At this writing, we have had no port metastasis in our series of 320 colorectal cancer cases with a mean follow-up period of 54 months. The steps we follow as a routine in all cases of laparoscopic colorectal cancer are (a) fixation of trocars to the abdominal wall, (b) avoidance of touching the tumor, (c) high vascular ligation, (d) intraoperative colonoscopy and intraluminal irrigation with 5% iodine povidone, (e) specimen isolation before extraction from the abdominal cavity, and (f) intraperitoneal and trocar-site irrigation with a tumoricide solution.